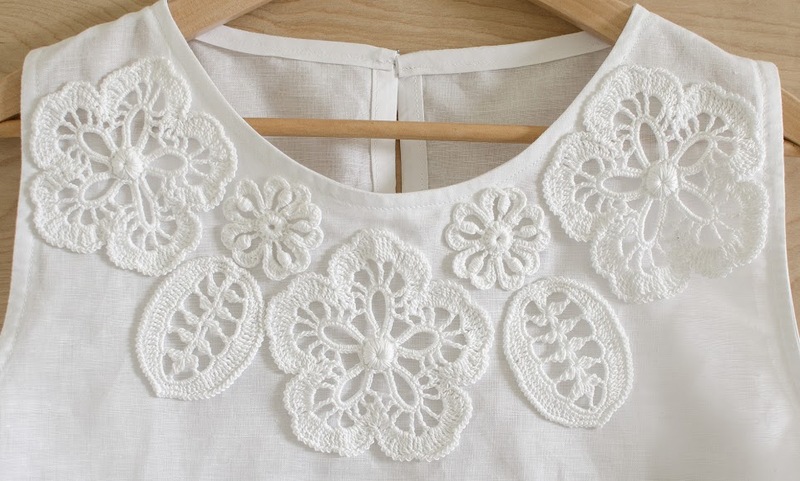 Outstanding Crochet: new project - Blouse with irish Crochet Embellishment. 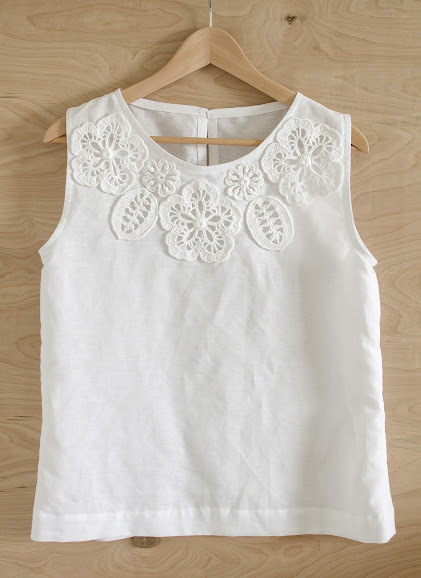 new project - Blouse with irish Crochet Embellishment. 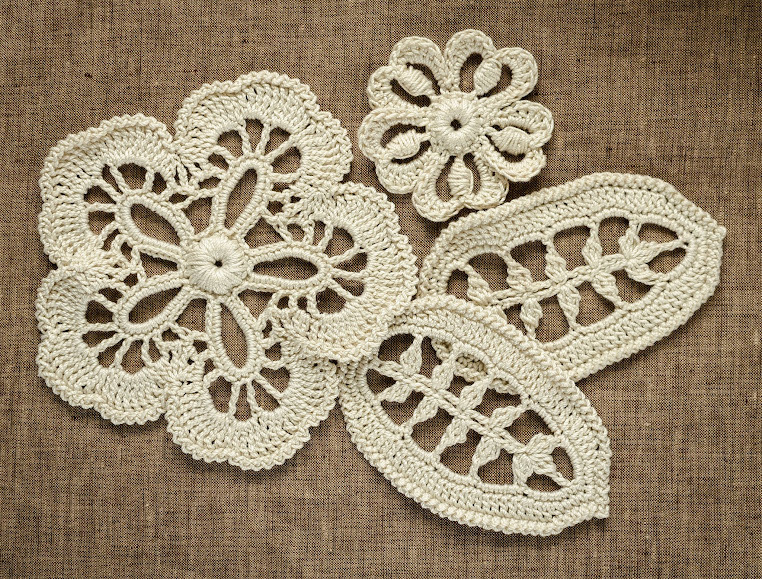 Though I love irish Crochet, what stops me from doing more of it is a net between motifs. It has to be perfect, it requires very fine thread, it takes time to make and hard on my neck to bend over the board on which I usually get the motifs together. 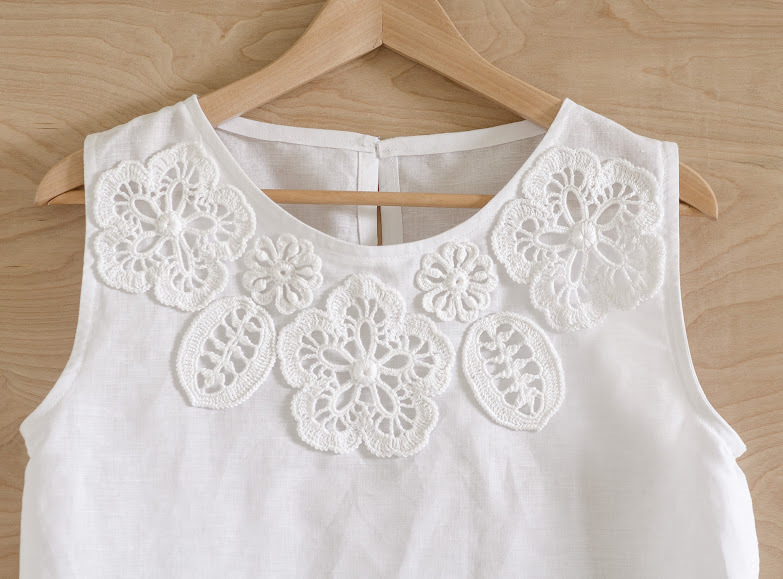 The way around it is to make motifs and stitch them on a garment. You can't call it Irish Crochet, but it would look wonderful as well. My choice is white on white for this summer. Check my store to see if this pattern is available. THank you! Greetings to you as well! Muy bonito!, todo un acierto para personalizar la blusa; ha quedado realmente preciosa. can u send me the pattern? It's on sale now 50% off! Ohhh!!! Simple y a la vez muy bello!